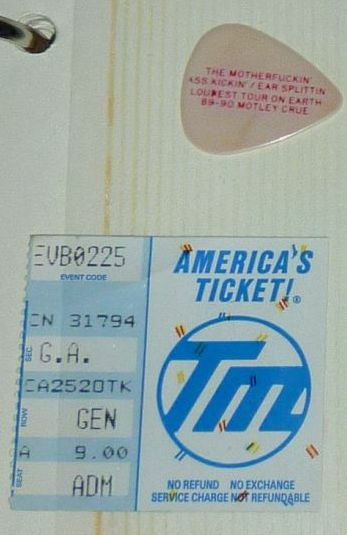 Last night marked the second time I’ve seen Motley Crue (1989) and Alice Cooper (1996). 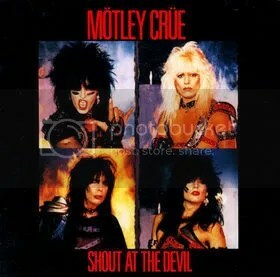 Crue was OK that night…better to say that the band was just fine, but Vince Neil wasn’t. He’s been awful the 2 times since then that I’ve seen him with his solo band. Cooper’s show back then was awesome as expected. I’m not the biggest Crue fan and really only like the first 2 albums, but they do put on a decent show. I pretty much love all Alice Cooper. Crue announced recently that they were calling it quits for good and that they signed some sort of silly contract stating that there would be no more Crue shows after this tour. We’ll see. I probably wouldn’t have gone to see this had it not been announced that Alice Cooper was opening. DONE AND DONE. I got the presale code from Alice’s website and scored decent seats in the front center section of the relatively new Cedar Park Center. My close friend, Trans Am (TA), and I arrived around 6PM and I was surprised at how small the venue was from the outside. It’s pretty small inside, too. But it’s really cool. Not really many bad seats in the place. We hung out in the parking lot for a few then made our way in. We both ran into a ton of folks we know, of course. This is the type of show that you’d see pretty much everyone you know. We found out last minute that there was an opening band. They weren’t worth mentioning. zzzzzzzz. Cooper’s front curtain goes up and his intro music begins. We rush back into the venue, the curtain drops and they open with Hello Hooray. Alice sounded great. He’s not young but he still moves around like he is and his voice is still quite strong. Since he was the opener, his set wasn’t that long but he played some of my faves like Billion Dollar Babies and Ballad of Dwight Fry. Killer and I love the Dead were only partials which is unfortunate. With From the Inside being my favorite Cooper album, of course I wanted some songs from that, but such is life. His band was solid and his drummer, Glen Sobel, was awesome. That’s no surprise since Alice never hires any slouches for his band. They close with School’s Out and that was that. The crowd was into it and Cooper just sounded so good. I really hope he does another headlining tour. I’ll travel for it if I have to. Crue hits the stage and opens with Saints of Los Angeles. Lots of lights for this show. They move right into Wild Side and Primal Scream. I will admit that Vince sounded better than I had heard in recent years…at least for the first 3/4 of the show. The band sounded solid although I thought their mix was a little muddy. I think that may have been on purpose. Mick was relatively mobile, surprisingly. The show was obviously done with backing tracks as I heard lots of rhythm guitars that weren’t being played by Mick. Lots of additional vocal tracks beyond Vince and Nikki and the newer version of the old Nasty Habits backing singers. On With the Show, Too Young To Fall In Love and Too Fast for Love were highlights for me. By the time they started playing Shout at the Devil, Vince’s voice started to give out. He’s always been good at letting the crowd sing a lot for him and last night was no different. They had lots of pyro which was pretty cool. Nikki had a flamethrower bass set up that was fun…and hot. Overall the show was good and we had a blast. What a great venue, too. Next month I’m seeing Chicago and REO Speedwagon there. Pentagrams are always cooler when they are on fire, right? Walking off into the sunset. Adios Crue.